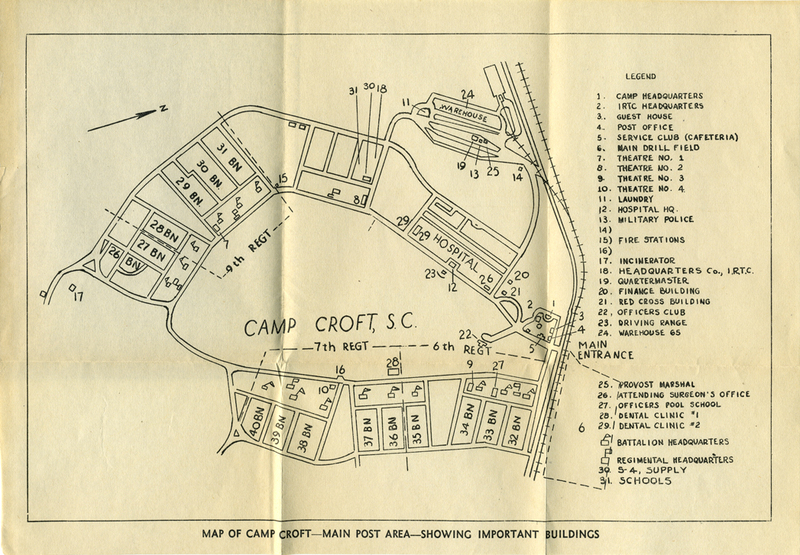 This is a map of the cantonment area of Camp Croft. It was taken from the 1943 Trainee's Handbook and can be considered reasonably accurate, however, it lacks the designation of the 8th and 10th Regiments. When comparing this image to the Modern Cantonment Area map one can clearly see how little the roads have changed.